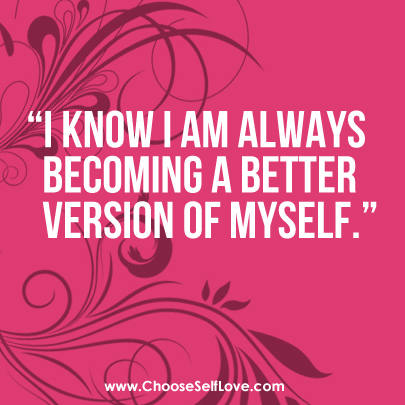 What if you could give up negative self talk? Watch this self-love divine spark for your heart on choosing supportive self-love talk! 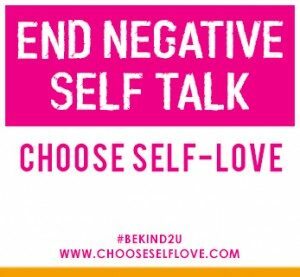 Here’s the straight self-love truth…in order to choose self-love talk, one has to give up negative self talk, just like giving up any negative toxic habit – like biting your finger nails, smoking, or eating junk food – you can CHOOSE to not be a negative self-talker. I took the stand to give up the negative chatter 6 years ago, and it changed my entire life. 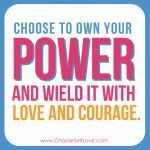 It wasn’t that the self doubt, self criticism, self-induced stress disappeared completely – although it did diminish A LOT! 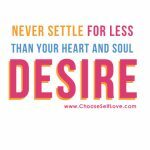 That crazy mind buzz just no longer controlled me, derailed me, drove me to make bad choices for myself. 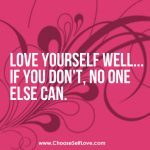 Well to start, any time I found myself in a negative self talk situation, I would just say out loud I GAVE UP NEGATIVE SELF TALK… I DON’T DO THIS ANYMORE! And I would say it out loud again and again – as if I was literally talking to myself, and I was! I was telling that inner force who wields that heavy hard hand – I call her the Inner Mean Girl, or Inner Mean Dude for boys – that I was no longer a negative self-talker. Just like I was no longer a smoker, so if someone offered me a cigarette, I could decline because I just didn’t smoke. Or I could choose ice tea at lunch instead of diet pop, because I wasn’t a diet pop drinker. 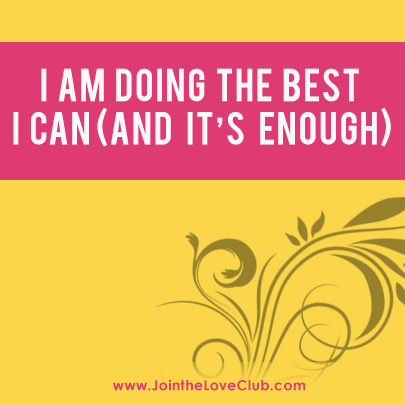 be real about where the negative chatter is showing up … take the promise to give up negative self talk… love stream out the words you need to hear from yourself! 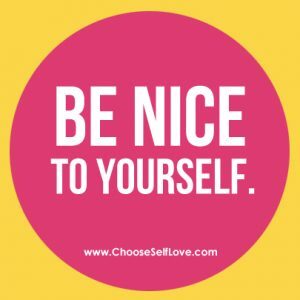 Post here on the self-love blog…. 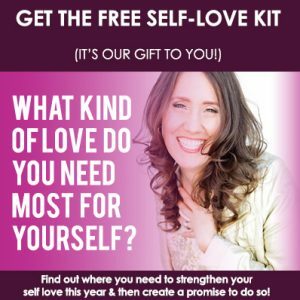 Download the FREE Self Love KIT that supports you to take and keep this promise to give up negative self talk and choose self love talk.